May 24, 2015, 06:09 pm Last Edit: May 24, 2015, 06:13 pm by spiney Reason: Attachment .rtf would ot load. I had a weather Station program running since January 2014. I have just tried to start working on it again. The computer has also been set back to factory state. I was offered the latest IDE and foolishly accepted. Having loaded the old sketch it would not verify. Errors talk about multiple libraries. I have been thrashing about copying my original list of libraries into the C/programfiles/arduino/libraries and also the documents/arduino/libraries is now empty. Please advise how I can get back to where I was 16 months ago. Should there be libraries in both Programfiles and documents? There is nothing in C/Programfiles/arduino/lib - only "theme". Error message attached. You will need to extract and place the required libraries, in their own subfolders, into the "My Documents/Arduino/libraries" folder. Once this is done you will need to restart the IDE to have it acknowledge the newly added libraries. 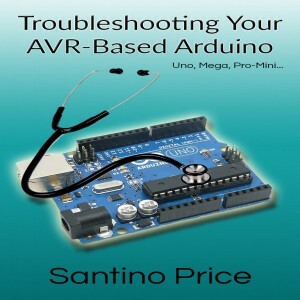 Need help troubleshooting problems with your Arduino (Uno, Mega or Pro-mini) have a look at my book on the kindle store.